Manfred Schweda/thisfabtrek.com. Image used with permission. 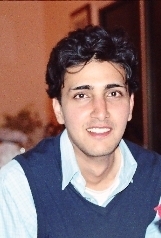 KAMAL ALAM IS THE SYRIA FELLOW at The Institute for Statecraft, and advises the British Army on Syrian Affairs. He has served as advisor on Syrian affairs to the UK’s Chief of Defence Staff and to the European Union, and is a visiting lecturer at several military staff colleges across the Middle East and UK. His articles can be found in Nikkei Asian Review, ForeignPolicy.com, Middle East Eye, and other publications. 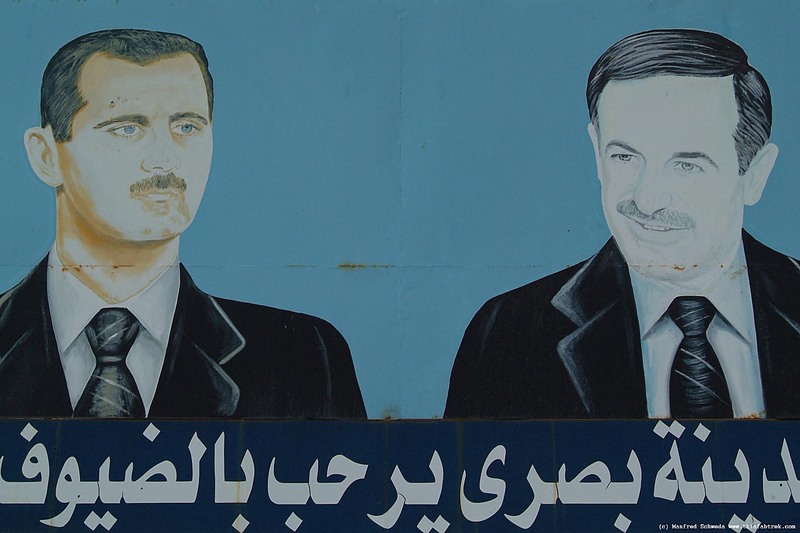 ONE YEAR AGO, Alam published a controversial yet prescient article in openDemocracy.net entitled, Pax Syriana: neither vanquished, nor all-conquering—wherein he explained why the Syrian Army had not and would not easily fragment, leading to the collapse of the Syrian state, as predicted by a chorus of analysts going back to 2011. HIS NOVEMBER 2014 EXPERT TESTIMONY before the UK Parliament’s Defence Committee covering ISIS and national security can be viewed here. Levant Report: At various times over the past few years there have been many failed predictions by prominent commentators declaring “the imminent demise” of the Syrian government. With the fall of Idlib and Palmyra and increased pressures, the prevailing wisdom in Western press is now once again that the government will soon collapse. Do you agree with this current popular assessment? Kamal Alam: I do not believe the commonly stated prediction about ‘the fall of Assad and the Syrian regime.’ The coming fall of the Assad regime has begun to sound like the boy who cried wolf. Yet there is no wolf to be seen. However the fall of Idlib and Palmyra have significantly weakened the strategic posture of the Syrian Arab Army. The Syrian Arab Army is fighting the hardest battle in the Middle East against terrorists. Although one cannot deny that the Syrian protests started as a peaceful demand for reform they (protests) were quickly hijacked by the worst kind of extremists. No one from the initial days of the uprising wanted regime change. This was an external agenda which quickly spiraled out of control. And whilst the Syrian regime made mistakes to begin with as any State makes in times of tension, the uprising has turned into a blood letting sponsored by external states. LR: Why do such commentators and analysts consistently fail in their predictions on Syria? KA: The so-called experts and analysts fail in their predictions because they think Syria was the same as Iraq, Yemen, Libya, Tunisia and even Egypt. They failed to realize the ground realities of Syria and most experts have not even been to Syria. For instance the same experts were defence advisers in Bosnia, Afghanistan and Libya. They often begin their arguments by saying, ‘In Bosnia we did so and so.’ ‘In Afghanistan we did the surge in the South.’ Really? if Afghanistan or Iraq are barometers for success then one must look really hard in the mirror. Most strategic analysts are opportunists linked with media and defence companies who have vested interests and are definitely not bi partisan. Without naming names, one of the key ‘experts’ was a DoD official who become the spokesperson for the Syrian National Council. How can an American defence official all of a sudden be a Syrian expert and spokesperson for the SNC? The only credible voices on Syria have been the late Patrick Seale, Henry Kissinger, Zbigniew Brzezinski and Joshua Landis. Even the ex-Israeli PM Ehud Barak said Assad would fall in two months, and this was in 2011. LR: Damascus and other government-held centers are increasingly resource starved, and yet any modern army requires constant flow of energy and other resources. How has resource disruption impacted the operational effectiveness of the Syrian Army? How has the general strain impacted morale among the troops? KA: The morale of the Syrian Army is still high. It is the only pluralistic fighting force on the ground which draws from the Sunni, Christian, Druze and Allawi sections of the society. The resources are severely depleted but time and again they have fought back from several setbacks over the last five years to regain their lost ground. No Army can fight a war without the support of its people and lands it operates in. For the Syrian Arab Army to operate for as long as it has, it has relied on its own people no matter how many foreign advisers there might be, there can be no substitute to your own people’s backing. The main problem is the supply line, and the international allies are helping the Army keep their supply lines well fed. At the same time people forget that Syria has always been the bread basket for the region. The Syrian Army is very resourceful given its experience in the Lebanese Civil War and de facto involvement in the war in Iraq since 2003. Lebanon was stabilized thanks to the Syrian Army in the 1970s and 1980s. People have a short memory and forget the Arab League and the United Nations mandated Syria to end the fighting in Lebanon. Now it is the time for the Lebanese to repay the favour to their Syrian brothers. The greatest factor in the cohesion of the Syrian Army is its multi-faith background. 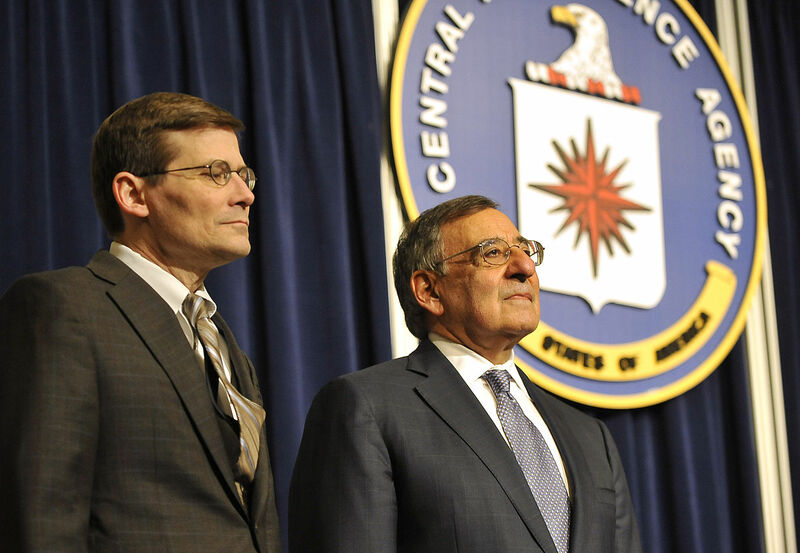 LR: Former deputy director of the CIA Michael Morell recently publicly acknowledged Israeli-Nusra cooperation along the Golan. Concerning this and Israel’s documented direct attacks during the Syrian conflict, what do you see is Israel’s strategic interest in Syria? KA: Kissinger famously said that without Syria there can be no peace in the Middle East. Israel has always clung to this statement, by knocking out the Syrian Army, they once and for all diminish any regional threat to their hegemony. Israel’s strategy in Syria has been clear: to divide the Syrians and create a buffer zone to further annexe land along the Golan Heights. They have tried hard to split the Druze and Allawi in particular saying they will protect them; however, so far they have failed in these attempts. In fact, as we saw a few days ago the Israeli Druze attacked an Israeli military ambulance. So if anything Israel’s attempts have backfired and angered its own Druze community. LR: In 2014 we heard many reports of local ceasefires and potential “freeze zones” that might lead to a long term stall in fighting [discussed here for example]. To your knowledge, did any locally negotiated ceasefires endure to a local peace? What are the prospects for peace in Syria? What would have to happen? KA: There have been many successful local ceasefires most notably in Western Ghouta, Muaadamiet Esham, Qudssaya, Barzeh and the old city of Homs. The example of Maloula is also a useful one, where after the takeover of Islamic extremists, they were forced out by a coalition of armed locals and the Syrian Arab Army. Western Ghouta and Reef Dimashq has been a particular example with particular truces holding out in Ain Alfijeh and Wadi Barada. The key for a durable peace has to be a political understanding between agreeable sides. Both the Geneva talks failed because the rebels failed to come with an open mind. Moaz al Khatib, the most credible rebel leader to date resigned citing that the Syrian opposition is run by non-Syrians. The Turks and GCC begged him to stay on—yet he walked away knowing there is no credible opposition which he could lead. The examples of Libya, Tunisia and Egypt are before us in terms of the rigidity of Islamic democrats who feign the process of pluralism to grab power. Damascus has seen historical truces between Maronites and Druze of Lebanon, Sunnis and the Druze of Southern Syria. However for this to happen foreign interference must cease. The European states in particular need to hold their Muslim communities to account, Britain in particular has allowed so-called moderate Islamists to destabilize Egypt, Libya and Syria. This policy must be put to an immediate end. Any one who uses religion to seek power is by definition not a moderate—Syria gave birth to Christianity and a Christian priest foretold the coming of a Prophet in Arabia. Gulf Bedouins with little understanding of tolerance cannot dictate peace to the oldest civilization in the world. This interview is also available at Medium.com.